December is famous for a lot of things, but for the most part we associate it with a number of holidays. Today is “Black Friday,” the day when the holiday shopping season traditionally kicks off. But thinking of things that are black in color, and keeping politics out of it, I think of Darth Vader. Because seriously, if you’ve been paying attention, you know I’m a Star Wars geek. Disney has promised to make one Star Wars film a year for the next, well, probably forever. 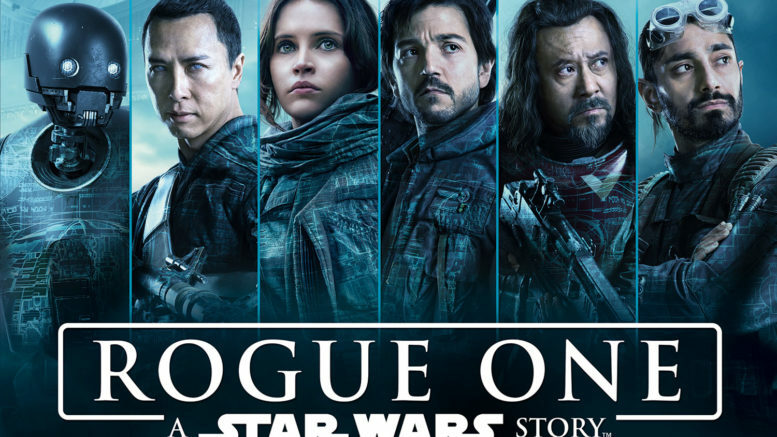 We’re about to see them make good on that promise on December 16, when Rogue One: A Star Wars Story hits theaters. It’s not only the first film to come only a year after the last one, but it’s the first one where the Skywalker clan isn’t front and center. It seems we’ll have just a bit of Skywalker in the form of an extended cameo from old Vader himself, but he’s not the focus. Instead, we’re going to learn about a whole new set of heroes. What, you thought there were only like six people in the rebellion? Turns out there were people you never even heard of, and after next month, they’ll be a big part of the story too. Personally I think that Star Wars Episode VII: The Force Awakens was… serviceable. Considering that it was really just a remake of the original, it wasn’t so bad. It at least had some of that DNA that the prequels lacked. I’m expecting this one to be pretty similar in tone, and I doubt that it will challenge episodes 4 or 5 for the title of best Star Wars film. I think… it’s going to be another chance to go to a theater and see a new story in that universe, and given the way the year’s gone since I saw episode 7… I think we can all stand a little time in a galaxy far, far away.